Please welcome my friend, poet, children's author and super fun person Mary Amato. 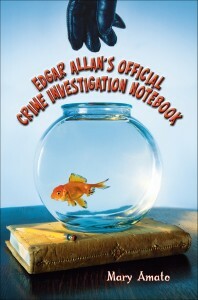 Mary's new MG novel -- Edgar Allan's Official Crime Investigation Notebook -- published last week. 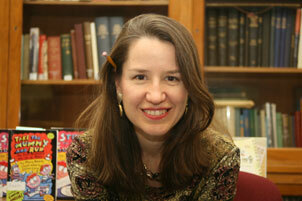 She is also the author of Please Write in this Book, the Riot Brothers series, The Word Eater and Invisible Lines. I loved this book, but first I had to fight my 10-year-old daughter for it. She read Edgar Allan twice before she'd hand it over. As soon as I was done, it went to her 5th grade teacher. As with Please Write in This Book (a Shovan family favorite), poetry is deeply embedded in the story. It’s part of the way the children interact, joke with one another, and apologize when their jokes have gone too far. Because he is paying attention to possible suspects after the class goldfish is stolen, Edgar begins to notice things about his classmates. Destiny is sad that her best friend has a new buddy. Taz may be the class clown, but he’s also an animal lover. Noticing how others are feeling, introverted Edgar becomes a compassionate friend. I think that makes Edgar Allan a must for Grade 3-5 classrooms. 1. Edgar Allan’s Official Crime Investigation Notebook is a mystery enmeshed with poetry. The thief leaves tantalizing clues in the form of poems. How did you come up with the idea to combine the two genres? 2. 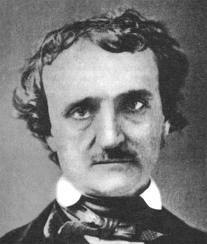 Edgar Allan’s namesake is poet Edgar Allan Poe, but Poe and his poetry aren’t part of the novel. Why did you make that choice? Poe’s work isn’t that accessible for elementary school students, so I didn’t include any of it in this book. Poe had this intense way of looking at the world as well as a tendency toward such dramatic language; and as soon as my character began to speak, he reminded me of a little Edgar Allan Poe. I knew that adult readers would enjoy the literary allusion to Edgar Allan Poe, even if children didn't make the connection. 3. My daughter loved the fact that there was a poetic cipher in the book that could help young detectives figure out whodunit. Edgar Allan Poe wrote cipher poems, often with the name of a lady-love hidden in the lines. Was that your inspiration? 4. After reading your book, my fifth grader wanted to know more about Elizabeth Barrett and Robert Browning, who have namesakes in the novel. She’s fascinated with their love story. How do you think a book like yours can inspire kids to learn about, read and write their own poetry? 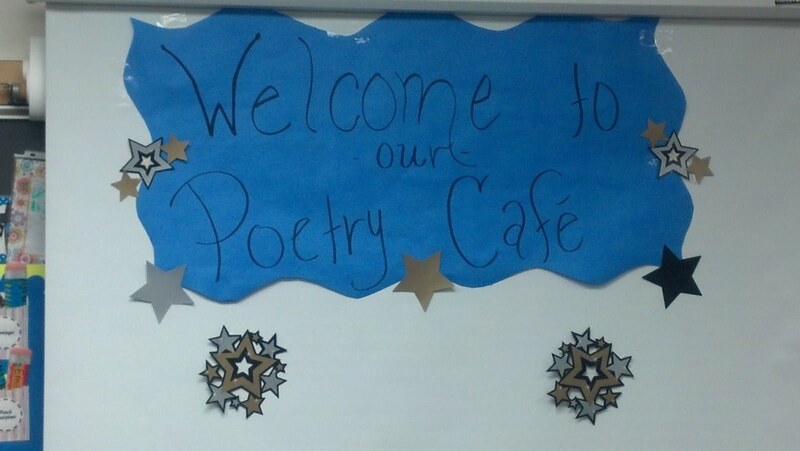 Often, poetry is taught in school by focusing on the poem’s type or form. I wanted to emphasize that poetry isn’t just about form, it’s about meaning. It can express emotion. Edgar expresses profound emotions in his poetry and learns important things about his classmates by reading their poems. I am hoping that this will help kids to understand the power of the poetry. 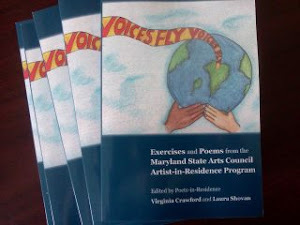 Poetry also lends itself to humor--rhyme and rhythm are playful and pleasing--so I had fun with a number of poems in the book, which I hope will reel in kids and inspire kids to write their own funny poems. Everybody loves to laugh. 5. Speaking of humor, one of my favorite scenes in the book is when Edgar Allan and his new friends stage a Hamlet-like play, acting out one of the thefts (in verse) to see if the guilty party will react. It’s a hysterical scene, with one of the kids playing the stolen goldfish. 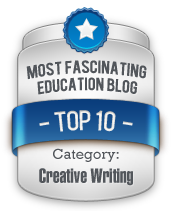 How do you make poetry fun for young readers? I love theater and thought it would be fun to spoof Hamlet (and make the point that plays were once written in verse). I do a fun workshop on dialogue poetry (poems in which at least two characters talk to each other), which is always successful. Kids love to perform, when given the chance, and poetry is perfect for the stage. 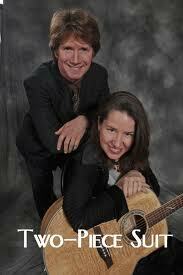 Bonus Question: Mary, I know you are a singer and musician. In your Riot Brothers series, Orville and Wilbur are always making up silly songs. They are a kind of poetry. Would you talk how poetry and music are connected for you? Fantastic bonus question! Songs are poems set to music. I love writing songs, and I can thank my eighth grade English teacher -- Mr. McCauley“I Am a Rock” on his record player so that we could experience the lyrics. I’ll never forget sitting in my desk, listening to that song and feeling a chill ascend the scale of my spine. This is poetry, I thought. I love it! Congrats on a wonderful novel, Mary. I know teachers will love all the poetry-lessons they'll be able to build from this book. 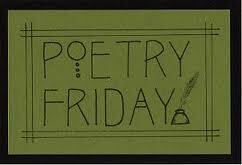 Thanks again for sharing Poetry Friday with us. Find links to more Poetry Friday poetry, reviews, lessons and recipes at Jennie's Biblio File site. Great interview, Laura! Including ciphers and humor sound like a welcoming intro to poetry, not to mention showing kids that they can express themselves, and reveal who they are, through poems. I loved hearing about the Hamlet-y scene, and I didn't realize that Mary was a musician. 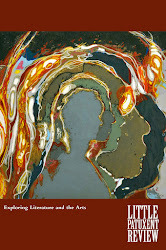 I can't wait to get a copy of this book! Laura, thanks for this cool introduction to Mary and her multi-dimensional latest book -- poetry, narrative, and theater all in one. I can't wait to read it. And I didn't know that Poe hid his lady loves' names in his poems, either! I'm going to a poetry residency meeting this morning and I'm so mad at myself for loaning out my only copy of the book! I'm going to share it with my elementary school teams this year. I'd love to do some workshops based on the clue-poems the thief leaves. Oooo! I'm a huge Mary Amato fan. Thanks for telling me about this one! Also, I must apologize for accidentally leaving you off the earlier roundups! Thanks, Laura, and thanks to Mary for keeping the poetry fires burning in my neighborhood! I've seen too how much poetry teaching depends on the what and how without much addressing the "Why would anyone ever write a poem?" question. Hi, Jennie. Thanks for fixing it! I'm so excited about sharing Mary's book with everyone. Heidi, you're going to love the book. The protag is a great model character for kids because he's learning over the course of the book how to be a good friend. 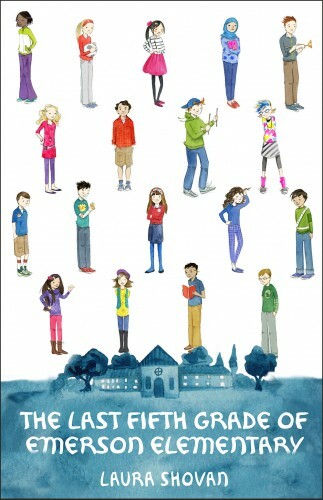 Thanks for a great interview and the heads-up on what sounds like a FABULOUS book for one of my next read alouds!